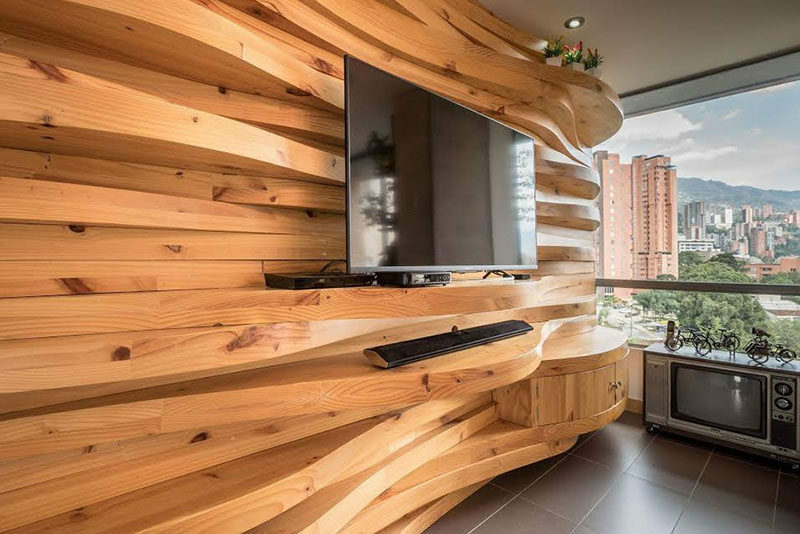 When architect David Bombilla was designing the renovation of this apartment in Medellín, Colombia, he decided to include a curved wood accent wall in the living room. 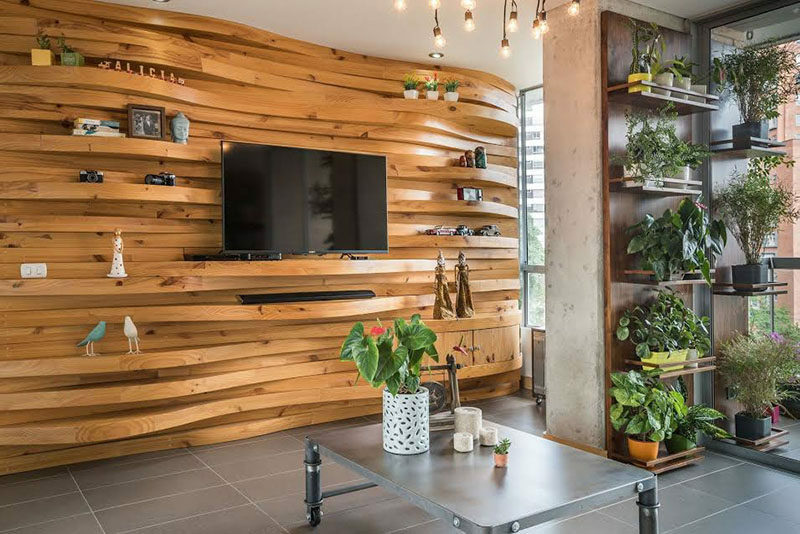 Due to the soft curves of the floor-to-ceiling wood wall, certain pieces of the wood come away from the wall further than others, and therefore provide a shelving system for decorative items and the television. 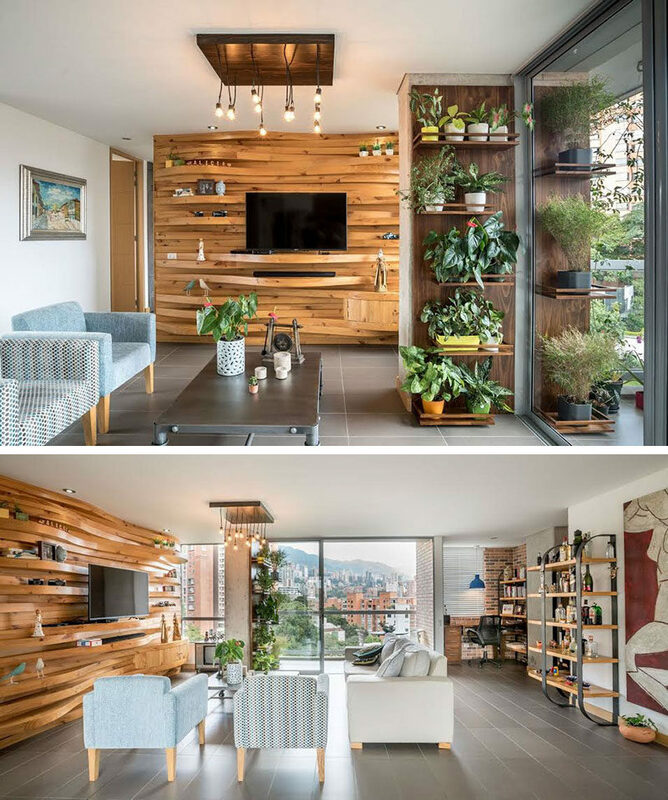 The wood accent wall also ties in with the other wood elements in the apartment, making the open room feel warmer and more in touch with nature.